Through the close working relationship with the companies in the Fashion Industry at Hong Kong, the Authority has profound understandings to the difficulties and needs of them, and taking the issues into in-depth research studies to working out systematic solutions and guidelines to help overcoming the problems. This project will identify the promising technology and advanced material developments to enable new-comers and SMEs of the local textile and fashion industry to continue playing a major role in the future HK economy. The main deliverable is the ready-to-use practical handbook outlining the technology roadmap for the industrial players to consider possible measures to achieve re-industrialization of the industry. This project aims to enhance the Activity-based Carbon Footprint Modelling (ACFM) to become an all-rounded intelligent carbon management expert and advisory platform. In response to users’ feedback on ACFM Phase I, ACFM Phase II targets at facilitating an extensive application of ACFM system in the industry. New features such as automation of data capture and customised reports showing relationship between carbon emission, energy consumption, production quantity and machine performance will be included in the system. ACFM Phase II also allows online access by multiple users and comparison between sites in different countries/regions. Advices on carbon emission reduction and energy saving will be provided as well. Additionally, in conjunction with AWFM (Activity-based Water Footprint Modelling), corporate user will be able to manage energy consumption and water usage easily, which are two prominent areas in environmental management. This project aims to develop an online toolkit to assist SMEs acquire an accurate interpretation of the Higg Index and thereby achieve improvement in sustainability management. Moreover, it could also enhance SMEs’ capability to meet international brands’ and buyers’ expectation and requirement in sustainability performance. The e-platform of Chemical Management System (CMS) aims to support SMEs from the Hong Kong clothing and textile industry to develop their own chemical management system. Through CMS e-platform, manufacturers can enhance knowledge of national regulations and fashion brands requirements on the restriction of hazardous chemicals usage. The e-platform also allows users to have self-assessment on their chemical management performance and provides them tailor-made implementation manual and suggestions for improvement. 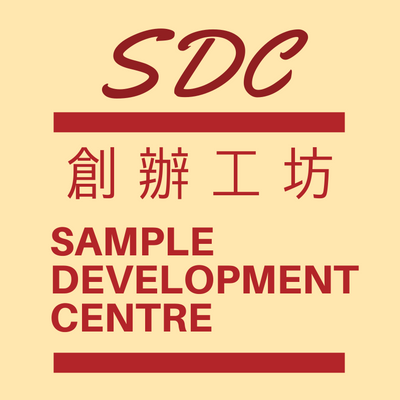 Sample Development Centre (SDC) aims to support Hong Kong fashion designers from SMEs to transform their creative ideas into prototypes or first garment samples for commercialization. This centre provides studio space, machineries and facilities for designers to develop prototypes. Sample Making Service and professional advices on sewing and pattern techniques are also available. This project aims to develop an activity-based carbon footprint model to reveal the carbon emission of the manufacturing processes of intimate apparel so that carbon reduction opportunities can be identified for the development of low carbon competitive advantages. The gathered carbon footprints of common intimate apparel products will be consolidated in an industrial specific database. A customised computer program will be built to analyse and report the carbon footprints. This innovative and practical approach, together with the comprehensive database and customised computer program will allow maximal flexibility and cost effectiveness in carbon footprint disclosure that fits the characteristics and demand of today’s intimate apparel industry. This project develops an Activity-based Water-Footprint Model for determination of water-footprint of each manufacturing process in the textile industry. The model formulates specific and measurable targets with respect to reduction of water-footprint and water pollution. The comprehensive measurement of water consumption allows maximal flexibility and cost effectiveness in water-footprint disclosure that fits the characteristics and demand of the current trend of the textile industry. The project aims to develop a sewing line coaching system that enables frontline supervisors and managers to acquire the knowledge of correct steps in arranging manpower, machines and production process based on “industrial engineering” techniques and apply “what-if” analysis to predict the impacts of various decisions in rapid changing business environment. Based on data collected from real factories, virtual sewing line will be simulated such that frontline managers and supervisors could learn the production planning and control process so as to identify the optimal solutions of manpower and machine allocations. With keen competition between suppliers and ever-changing requirements from customers, there is a need for a lean, rapid and responsive product development system. This is particularly important for intimate apparel products as the development process itself tend to be lengthy and with a low hit-rate. This project aims to create a stage-gate system with rationalized processes of bra product development and to establish the relationship between the stage parameters as well as key performance indicators of bra product development. In addition, a structured knowledge database and multi-media case library will be developed. 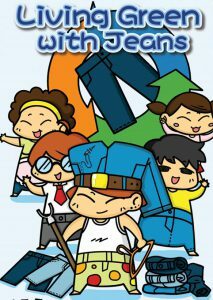 The main objective of this project is to find out the manufacturing process of various type of denim garments with different aesthetic looks and the relationship between denim and the associated sustainability performance. The main goal of this project is to develop appropriate methodologies to acquire knowledge, experience and best practices for SME factories to assess and understand their product carbon footprint; effective disclose their product carbon footprint; identifying carbon emission reduction opportunities and action to build their low carbon competitive advantages. The project aims to assist SMEs to familiarize with CSR and to develop a guidebook on the preparation of sustainability report under the Global Reporting Initiative (GRI). The guidebook, which is an internal tool for the management, outlines the measures to ensure the consistency, transparency and well-documentation of the company in order to facilitate the development of sustainability report and serves as a comprehensive and systematic guide for garment factories to improve CSR performance. REACH is a European Community Regulation on chemicals and their safe use, and it has serious implication to Hong Kong’s Textile and Clothing Industry. The issue of REACH and its requirements is complex and the chemical substances listed require a particular know-how not all textile and clothing manufacturers have. In order to enhance the awareness and protect the textile and clothing companies from the risks of REACH claims, The Textile Council of Hong Kong has initiated a project to establish a REACH Competence Centre that offers comprehensive information on REACH requirements for the Hong Kong Textile and Clothing Industry. 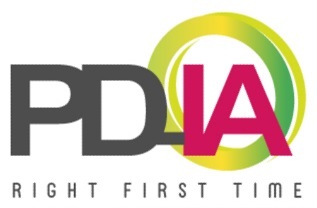 This project aims to develop real application models for common trade practice from helping the pilot companies to implement the statistical techniques and quality tools, in order to help the company to reduce cost, defects and cycle-time, in other words, to improve quality and productivity. This project is owned by Knitwear Innovation and Design Society (KIDS) and CITA is the implementation organization. The project developed a Skill Inventory DVD, which is used to assist the industry to enhance their technical knowledge on knitwear manufacturing process.